I just made a new cloth vlog (my cloth diaper video series, which you can view here) all about buying and selling cloth diapers. It focused mostly on the selling portion, because that is the part that people have the most questions about. Questions that I covered include "where can I sell cloth diapers?" as well as "how do I sell cloth diapers?" I also talked about buying and selling terms you may hear as well as just some general tips I have for selling cloth diapers online. In this video, I mentioned a list of things to include in your "listing". A listing for cloth diapers is much like a listing for a house. 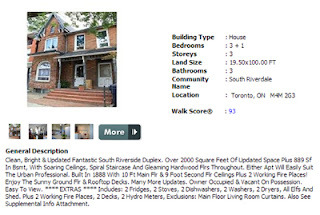 Listing a house requires sharing general information about the house (like the number of stories, the year it was built etc.) along with a price, some photographs and a description that's goal is to make the potential buyer interested and intrigued. Now, unless you're talking about the coveted NIP Goodmama Rainbow Noir, the average used cloth diaper us going to get you nowhere near the kind of income that selling a house is..duh. However, if you take a real estate listing as your jumping off point, you can definitely make a nice cloth diaper listing just as successful. Here is a list of things you should (or should consider) including in your listing. Stay away from generic titles such as 'cheap diapers' or 'awesome diaper deal'. No one knows what the heck this means and is less likely to click on your listing. Also, many people use the search function on websites because they are looking for a specific brand or type of diaper. By completely omitting what brand of diaper you are selling in your title, it is going to see less traffic. Also, do not include too much information in your title. Save that for the description. A title that says "one-size new style brown fuzzibunz with snap closure EUC" is not appealing. Something simple like "One-size Fuzzibunz" should suffice. Your photo is what is selling your diaper. Regardless of your catchy title, awesome description and price, nothing is going to sell your diaper like a photo. Nobody would buy a house without seeing it first, nobody would buy a car without seeing it first, and not many people are willing to purchase diapers without viewing a picture. First off, a title and description often can't do justice to what condition the diaper is really in and secondly, it creates a doubt that the diaper even exists (perhaps you are an internet scammer and completely illegitimate). Make sure your photo is clear, the lighting is good and the diapers look worthy of being purchased. Use natural light so you can get accurate colours and present them in a way that looks appealing. If you can't possibly get a picture of your diapers (borrow a camera, use your cell phone), grab a photo off the company's website and use that. Keep in mind when taking your photos that often the buyer will want a picture of the inside of the diaper as well (to see wear and staining) so take those pics while you're at it. Go to the company website and find out information about the diaper. Make sure to include the brand (if you know it) and the sizing (if you can find that out). Including the weight range is helpful to the buyer so they don't have to look it up themselves. Also include what TYPE of cloth diaper it is. Is it a prefold, an all-in-one, a fitted? If you're unsure, check out my cloth vlog explaining the different types of cloth diapers. Include what fabric it is made from (some people only like natural fibres and lean towards listing with those qualities) and if the diaper has inserts, what those are. Microfiber? Cotton? Are you including one or two? What closure does it have, snaps or velcro? If there is no closure, remind them of this. How long you used the diaper will help the buyer to know what kind of quality to expect. You can use terms like "NIP, EUC, UC" which are explained in the video above, but nothing is better than a clear, concise description. If you used and washed the diaper daily for two years, express that. If you used the diaper in a large rotation for only a few months, explain it that way. Make sure to divulge any flaws with the diaper. If there is a loose snap, a hole, a weird smell, non-sticky aplix..type it out. You may feel like this is making your diaper not sound as good, but you need to be honest. If you don't divulge the imperfections, the buyer will in turn not get what they thought, and negative feedback looms just around the corner. Make sure to be honest, and price accordingly. This is the make it or break it, the selling point. No matter how much you love that mansion with 10 bedrooms and a chef's kitchen..you're not going to buy it if it's out of your price range, plain and simple. Most people purchasing cloth diapers have a price point in their head that they are looking for, a budget that they are trying to stick too. A large amount of cloth diaperers ARE cloth diapering to save money. If your price point is simply too high..people will glance right over your listing and move on. Your price needs to be realistic. Search around at what that diaper has sold for in the past, but be willing to negotiate if your diaper is not a hot commodity at the moment. If you're not in dire need to sell your diapers, wait it out a few months. For example, Goodmamas will go in and out of "style". One month, you can get your hands on used ones for $15, and other months you will be lucky if you can find one for under $50. It may seem crazy, but that's the way the cloth diaper world works. If you have a hot item, make an auction and sell to the highest bidder. Unless you are planning on sending the diaper out the moment you get your payment, share in your listing when you plan on shipping it out. If you can't ship until next Friday, let your buyer know that so they know when to expect their purchase. Also, make sure you mention shipping cost. Some websites will have a section where you can add that, and some will not. Let your potential buyers know if the shipping cost is included in the price (PPD) or if they need to pay extra (and how much). If you only want to get paid via funded Paypal, or echeck - include it in your listing. If you're going to be picky about it, you need to put it out there. Don't wait until someone has already clicked "buy now" before letting them know if you want to be payed a specific way. Also include where you are willing to ship, and the accompanying price. If you only want to ship within the Unites States, say so. If you are willing to ship Internationally, share that information. Also keep in mind shipping cost. You can definitely list multiple shipping options and costs depending on where the buyer lives. There are a few others things sellers often include in their listing that you may want to consider for yours. 1. If the items are coming from a smoke free and/or pet free environment. Some buyers will ask later, so this will help skip that step..but if you ARE indeed a pet friendly and/or smoke friendly home..it is common courtesy to let your potential buyers know that. 2. If the items have been used with "cloth diaper safe" accessories. Some buyers do not care, while some care a great deal if the diapers have been used with a non-safe detergent or diaper cream. You can divulge this or not, the majority of buyers will not ask. However, if your diapers are having severe repelling problems, again common courtesy would suggest you mention this.